Feeling sluggish or lethargic? 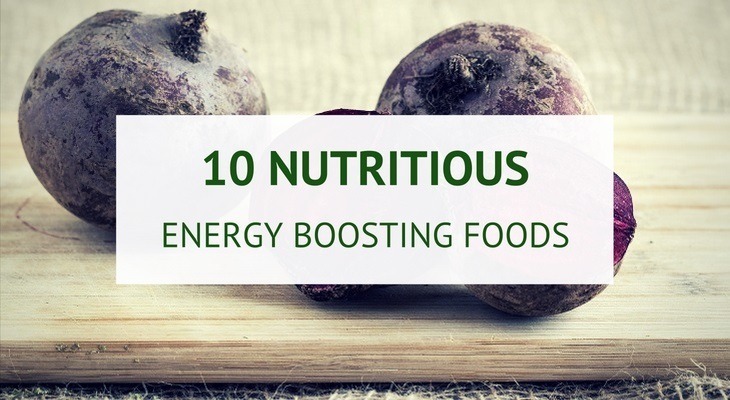 It’s easy to go for another cup of coffee, but why not try one of the below energy boosting foods to help you get yourself through the day? Whether we’re in the office occupied with our daily tasks or at home doing chores, we all have our moments in the day when we lose focus and productivity. Don’t worry, it’s perfectly normal. But instead of going for another caffeine hit, or worse, a processed sugar-laden office snack, I prefer to get my focus back by eating a nutritious and energy boosting snack. It really works! Skip that morning coffee and try one of these nutritious foods to get that much needed instant energy boost! 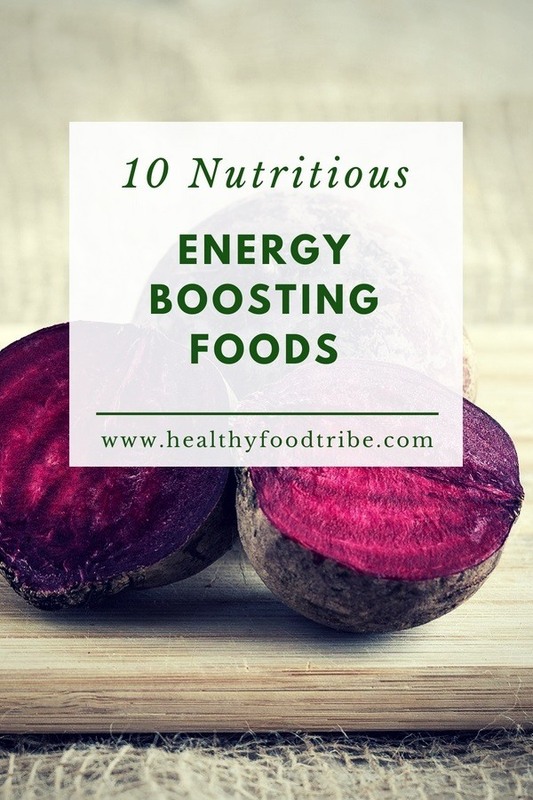 One of the most underrated vegetables, beets are not only loaded with a great variety of essential nutrients, they also give you in instant and long-lasting energy boost. 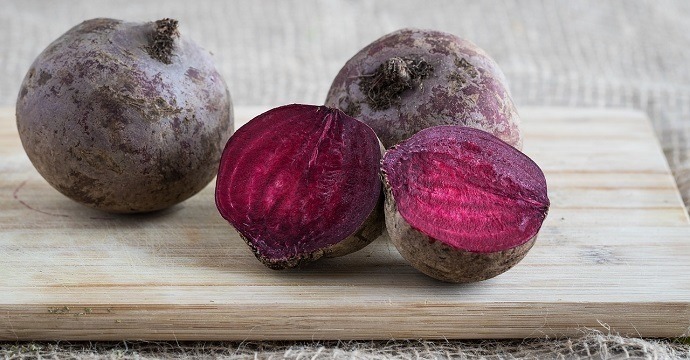 Rich in vitamins and minerals such as folate, manganese, fiber and vitamin C, beets help to lower blood pressure, improve blood flow and improve heart and liver health. Beets contain a good amount of carbohydrates that provide you with much needed energy, perfect for when you’re about to go for a long workout. Dark chocolate contains flavonoids, phytochemicals that have antioxidant and anti-inflammatory properties which help to lower blood pressure and cholesterol levels. It also contains serotonin, a neurotransmitter produced by our nerves. Known as the “happy” neurotransmitter, serotonin helps to influence our mood, promoting happiness and relaxation. 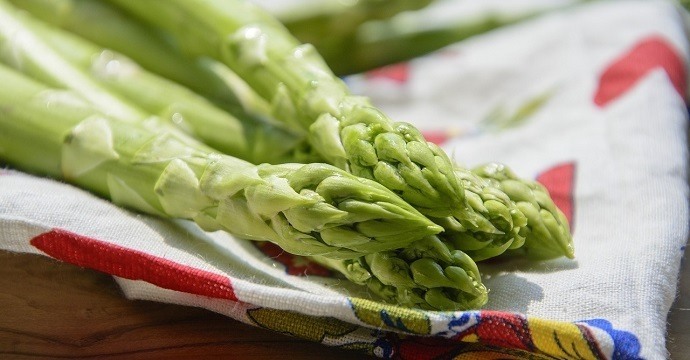 It may not be everyone’s favorite vegetable, but asparagus packs a ton of nutrients, such as iron, vitamin K, vitamin A, vitamin C, fiber and also protein. Don’t steam asparagus for too long though, as this will destroy some of the nutritional value. I love adding bits of asparagus on my salads, or otherwise I dip (semi) raw asparagus in hummus as a nutritious snack in the afternoon. Perhaps not the most exotic fruit out there, but my all-time favorite fruit is still the good old banana. Packed with lots of different nutrients, a banana always gets me back on track within a matter of minutes. Just like dark chocolate, bananas also contain a good dose of serotonin, affecting our mood in a good way. That itself can also boost our energy levels. Who doesn’t love the taste of sweet potato? High in carbohydrates and loaded with vitamins and nutrients such as calcium, magnesium and vitamin A, sweet potato not only fills you up quickly, it also gives you an instant energy boost. 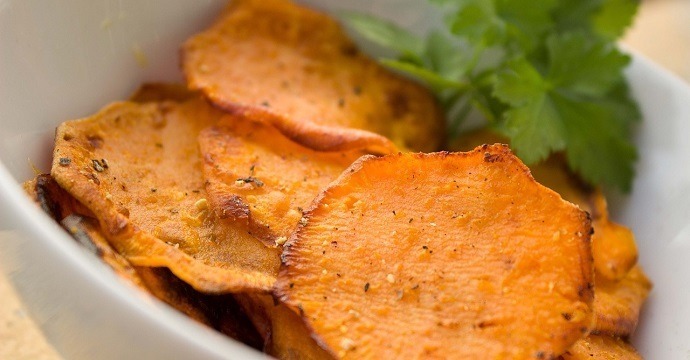 I often prepare and store sweet potato as snacks in my fridge by chopping it up and cooking it in small pieces. Cold sweet potato may not be for everyone but I love it! Some say it’s a funny habit, but I can really enjoy eating a small bowl of brown rice when I feel hungry. I often add some tuna and a tiny bit of soy sauce for some extra flavors. It’s a simply yet powerful snack that gives me lots of energy for the rest of the day. Brown rice is a great source of both carbs and protein. The high levels of manganese in brown rice helps with regulating glucose metabolism, turning all that nutritional content into much needed energy. With their high natural sugar content, it’s no surprise that fruits typically give you a bit of an energy boost. Berry fruits, such as blueberries, blackberries and strawberries, are particularly high in antioxidants, they help to increase your focus, and most importantly, they taste great. Do you love Greek or plain yogurt as much as I do? Add some berries on top to create that perfect afternoon snack! One of the best ways to stop yourself from giving in to the snack vending machine is to always keep a little bag of trail mix in your desk. Not only does that keep you healthier, it also helps to maintain consistent energy levels throughout the day. One of my favorite energy boosting foods, just a handful of trail mix offers a good amount of healthy fats, (complex) carbs and protein that is very easy to digest. Just make sure you put that bag away after eating one portion! If you’re looking to up your protein intake, try a boiled egg. An average sized egg can provide you with 30% of the recommended daily value of protein. Not just that, the protein in eggs is also considered complete protein, which means that it contains all 9 essential amino acids. Eggs may not be as energy-boosting as some of the other foods in this list, but I just love snacking a boiled egg away whenever I feel like eating something. It’s an excellent alternative to unhealthy office snacks that lack nutritional value. Just like with sweet potato, I really enjoy munching on pieces of cooked pumpkin that I store in my fridge. Pumpkin is an incredibly nutrient-dense food, rich in essential minerals and vitamins, but not as high in calories. Another way of eating pumpkin is by turning it into soup. Check out this delicious spicy pumpkin soup recipe, which I prepare at least a few times per month.